Concord Canada House Condos at Concord CityPlace is a new condo development by Concord Adex currently in pre-construction at 23 Spadina Avenue, Toronto. The development has a total of 1400 units. Concord Canada House is located at 23 Spadina Ave, in the heart of Downtown Toronto. CityPlace is the largest residential development in Toronto. The Concord CityPlace community will consist of 29 towers and condominium structures in addition to town homes, which will be home to 15,000 people. The focal point of this community will be an $8-million, 8-acre park celebrating the history of Canada. Main reasons to buy the Canada House Condos are the following. Location: Located at 23 Spadina Ave, Concord Canada House Condos is perfect for your waterfront living with wonderful lake views. Near Gardiner Expy, Lakeshore Condo holds the perfect combination of convenience and sophistication. TTC is right across the street with easy access to east and west. Sitting next to Loblaws, you can have every necessities at your fingertips. Great Investment Opportunity: Those investing in the Canada House Condos are investing in a master planned community. That being said, prices are estimated to rise as the area continues to develop. Walk and Transit Score: Canada House Condos has perfect walk score and transit score of 95. Waterfront Living: The condominiums near harbour front – including Lakeshore Condos will go up in market value as inventory shortens. Enjoy the relaxing lifestyle with views and vibrant city amenities with style. Development: Canada House Condos is yet another exciting project Concord Adex. 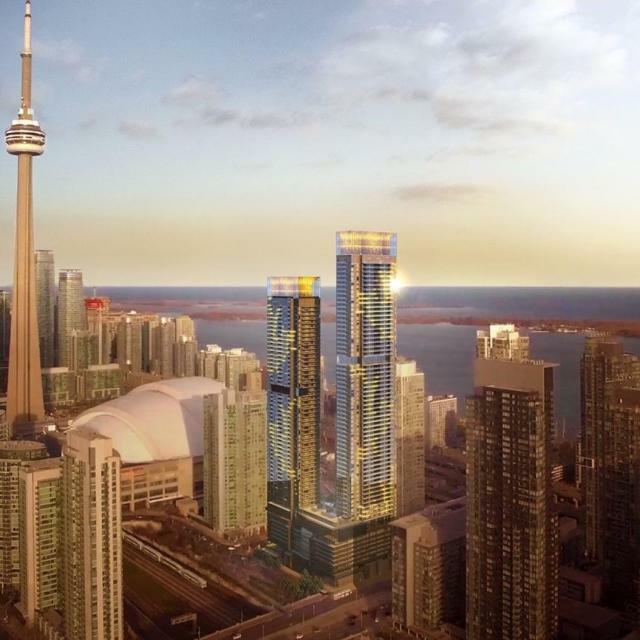 Concord Adex, by Concord Pacific, specializes in the waterfront downtown Toronto developments. Projects include CityPlace, Park Place, Lakeshore Condos are their proud staple. From 485 sq. ft. To 908 sq. ft.